It was one of the first, original April Fool's gags that was a bigger hit than most of the movies running at cinema halls. The clever clogs at Cine Blitz plotted a fab, fun scheme to trick their readers on April Fools day. Conspiring with ace character actor Anupam Kher, with the magical talents of make-up artist Mickey Contractor and photographer Gautam Rajadhyaksha, they vamped the visage of Kher to look like a glamorous moll. They created a fabulous fiction of finding Sridevi's long-lost sister. A strictly tongue-in-cheek tale that was a splendid prank. Apart from the magazine, the behind-the-scenes team, only Sridevi was in the know prior to the publication of this implausible cover story. Such fun! The interview was cheeky, the cover-story was awesome and truly even in a still photograph, Kher's 'act' as Sridevi's sister was splendid. 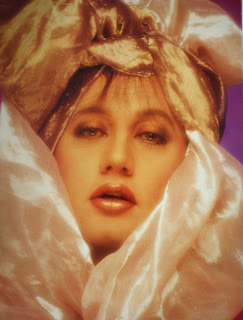 It worked only because Anupam Kher didn't look like a man in drag, the photography, make-up artistry and the poses of the actor were so credible, so believable, that it worked on such a grand scale. It remains the most original deception in the annals of Indian film journalism, a visual joke to be enjoyed ever after. 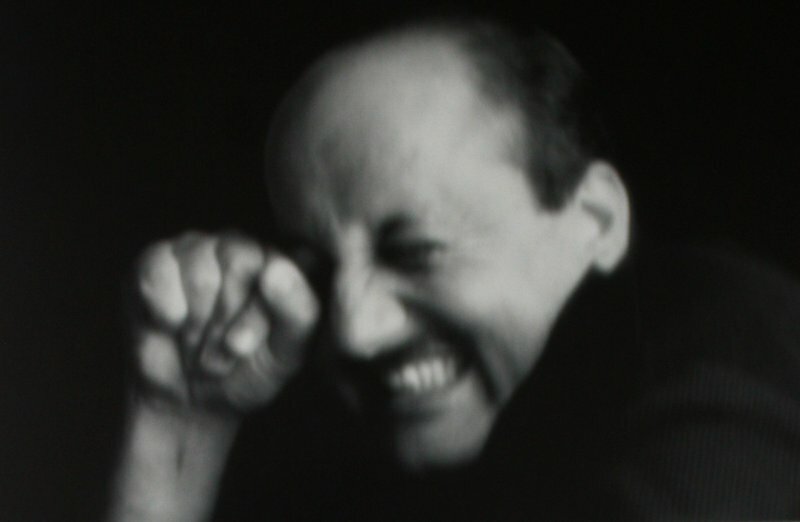 And Anupam Kher proved beyond doubt that he could be not only a great cover girl, but also a great sport! When Cine Blitz came up with the irresistible idea of ‘discovering’ Sridevi’s lost sister, who after years of being under wraps emerges to tell all, it only needed Anupam’s nod to get our creative juices flowing. During a hilarious, if grueling two-hour make-up session, the bald, round-faced gent was ‘morphed’ jowls and all, by Mickey, into the sultry, dreamy-eyed beauty called Prabhadevi. A great complexion, a near perfect nose and a mouth made for seduction, I’m sure Anupam himself had no idea of his hidden potential! It was the best kept secret in the film world. Apart from ourselves, only Sridevi was in the know, and her lips were sealed. The outcome exceeded our wildest expectations. Apart from a few canny readers, the vast majority including the industrywallahs swallowed the story hook, line and clincher. Some even showed an interest in signing ‘her’ on! I will never forget Jaya’s face when Amit, who couldn’t contain himself any longer, blurted out the truth. Disbelief, giving way to incredulity, shock, amazement, till at last she dissolved into peals of laughter. Sometimes, even now, remembering Jay’s gasps and giggles, I laugh out loud." Cine Bltiz: What were your reactions when Anupam told you what he was going to do? Sreedevi: It wasn't like that. Anupamji didn't tell me what exactly he was going to do. One day, while we were shooting he told me, 'Ma'am main aap ko ek surprise dene wala hoon' [Ma'm I'm going to give you a huge surprise]. The whole day he kept telling me the same thing. So I asked him what the surprise was. And all he said was, 'Nahin, I don't want to tell you, magar aap bahut hassenge' [but you'll laugh a lot!]. ...The whole day Anupamji kept building up the suspense. I had absolutely no idea what he was going to do. I could not even imagine what the surprise was. C.B. : When did you discover Anupam's surprise? Sreedevi: After the shooting schedule in Bombay, I left for Madras. One day, after I finished my dubbing, I returned home and I met my sister and brother-in-law. They were very upset. They came to me saying, 'See what this Cine Blitz has done. They have said that we have got another sister hiding somewhere. It is so wrong! CB. Did you laugh?Sreedevi: Ya. I found it really very funny. It was a really good April Fool joke for everybody. Especially when she said that she knew all the Hollywood actors. That was really funny and very cute in a way. 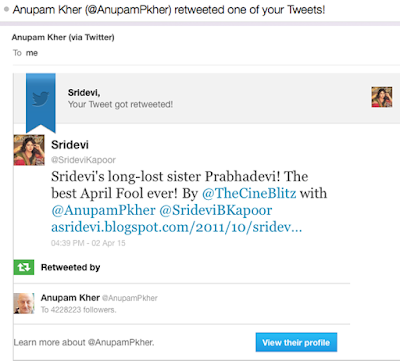 CB: Did you like the way Anupam was done up?Sreedevi: Anupamji's make-up was really mind blowing. How nicely it was done. The credit for it goes to Gautam and Mickey. Of course the credit also goes to Anupmaji. The way he has given his expressions was really great! UPDATE: On April Fool's day 2015, we got a shout out from 'the' actor himself!